When planning kitchen remodeling or renovation, one thing that immediately come to many homeowners’ mind is to purchase and install new countertops, appliances, and cabinets. However, if you are on a tight budget, buying and installing new kitchen amenities can be a costly feat, especially when it comes to cabinets. If you look closely into your kitchen, you may realize that almost one forth of your kitchen is occupied by your cabinets. Replacing them is not really economical. However, a better way of enhancing your precious cabinets is by getting a cabinet painting in Sterling Heights, MI service. No Mess – Installing new cabinets can be very messy. You will have to remove your old ones and ensure that they get disposed immediately. You will have to repair or replace your wall too. Your kitchen will be a total mess. However, you can prevent this by choosing a professional cabinet painting in Sterling Heights, MI service. 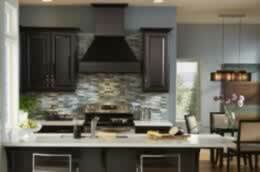 Unique Look – Cabinet painting Sterling Heights, MI will enable you to give your cabinet a complete new look. You can choose from thousands of designs that you can search online or create a customized design that will make your cabinets look unique. Low Cost - Sterling Heights, MI cabinet painting is a lot cheaper than replacing your old cabinets. Cabinet replacement involves removal of old cabinets, preparing the wall for mounting the new cabinet, and cleaning the area. If you compute the material and labor costs for a replacement project, you’ll find that it is almost 5 times more expensive than cabinet painting.